In two separate crimes of excessive use of force, Israeli forces killed a Palestinian child in Silwad village, northeast of Ramallah, and only after less than 24 hours, Israeli settlers killed a Palestinian civilian in al-Moghayer village. Moreover, the Israeli forces wounded 22 other civilians after moving into al- Moghayer village. Committing these two crimes comes in light of the Israeli government’s escalation in the occupied Palestinian territory (oPt) and encouraging settlers to commit such crimes against the Palestinian civilians. The two crimes along with other crimes lately committed by the Israeli forces and settlers proves the latter’s intention to inflict more and more victims among the Palestinian civilians. According to PCHR’s investigations into the first crime, at approximately 16:30 on Friday, 25 January 2019, 15 Palestinian young men and children gathered adjacent to Bypass Road “60” near Silwad village, northeast of Ramallah. The Palestinian young men threw stones at the Israeli forces stationed near the military watchtower in the area. In addition, at approximately 17:40, a number of the Palestinian young men stepped 30-50 meters towards the Israeli vehicles stationed along the street. In response, an Israeli soldier immediately fired a live bullet causing the injury of Ayman Ahmad ‘Othman Hamed (16) to the left side of the chest. The wounded child was taken by an ambulance to Palestine Medical Complex in Ramallah to receive treatment and admitted to the Emergency Department (ED), but he took his last breath after moments of entering the hospital. It is worth to mention that the child was a student at Silwad Secondary School for Boys. According to PCHR’s investigations into the second crime, at approximately 15:30 on Saturday, 26 January 2019, a group of Israeli settlers moved into al-Moghayer village, northeast of Ramallah, and rioted on the streets while opening fire at several houses; 2 of them belonged to Jamal ‘Ali al-Na’asan and ‘Abdullah al-Na’asan, breaking all the houses’ windows. Meanwhile, dozens of Palestinian youngsters and young men gathered to throw stones and empty bottles at them. In response, the settlers immediately and randomly fired a barrage of bullets, wounding Hamdi Taleb al-Na’asan (38) with a bullet that entered his lower back, hit the lungs and then exited from the chest. As a result, Hamdi fell on the ground and was taken immediately via an ambulance belonging to the Palestine Red Crescent Society (PRCS) to Palestine Medical Complex in Ramallah, where his death was declared in the ED due to arriving in a very critical condition. Following that, the Israeli forces moved into the village to provide protection for settlers and opened fire at the Palestinian protestors. As a result, 22 civilians were wounded with bullets; 8 of them were taken to the Palestine Medical Complex, 6 were taken to the Istishari Arab Hospital in al-Rihan Suburb, north of Ramallah, and 8 were taken to the medical center in nearby Termes’aya village. It should be mentioned that Hamdi al-Na’asan was a former prisoner in the Israeli jails, where he served an 8-year sentence. He was also married with four children; the youngest is only 1 year old. 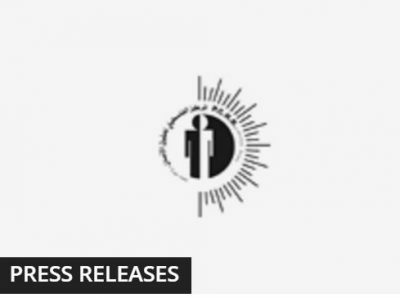 While condemning these two new crimes, PCHR is strongly concerned over the Israeli forces’ use of lethal force against Palestinian civilians participating in peaceful demonstrations in violation of International humanitarian law standards. PCHR is also seriously concerned over the protection provided by the Israeli forces to the settlers who attack the Palestinian civilians safe at their houses. In light of the above, PCHR calls upon the international community and UN bodies to take immediate and effective action to stop the Israeli escalating crimes and violations and provide international protection for the Palestinians in the oPt. Further, PCHR reiterates its call upon the High Contracting Parties to the 1949 Fourth Geneva Convention to fulfill their obligations under Article 1; i.e., to respect and ensure respect for the Convention in all circumstances, and their obligations under Article 146 to prosecute persons alleged to commit grave breaches of the Fourth Geneva Convention. These grave breaches constitute war crimes under Article 147 of the same Convention and Protocol (I) Additional to the Geneva Conventions.